Food allergy parents need a lot out of their snacks — safe, healthy and great tasting. 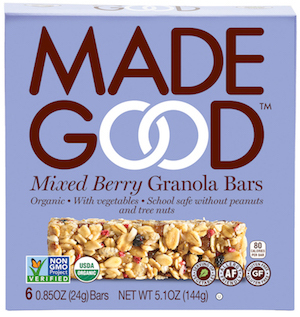 Granola bars squarely fit that bill, and there have never been more food allergy-friendly options, even for families that avoid all top 9 allergens. Each of the 4 brands on our top 9 free list are made in dedicated top 9 free facilities.